AirLink® RV50X LTE-Advanced industrial gateway supports the widest range of LTE bands in its class for the most challenging industrial and off-grid IoT applications. 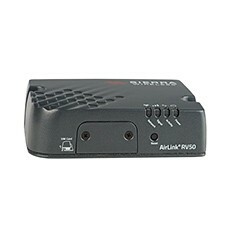 Sierra Wireless today announced availability of the high-performance AirLink® RV50X LTE-Advanced industrial gateway. Building on the success of the RV50, the RV50X is designed to connect critical infrastructure in utility, energy and smart city applications. It supports 21 LTE bands worldwide, providing high-speed connectivity across North America, Europe and Asia Pacific, while retaining the industry’s lowest power consumption. In addition, the RV50X’s LTE-Advanced carrier aggregation capabilities maintain high average data throughput, even at the cell edge or on congested cell sites.